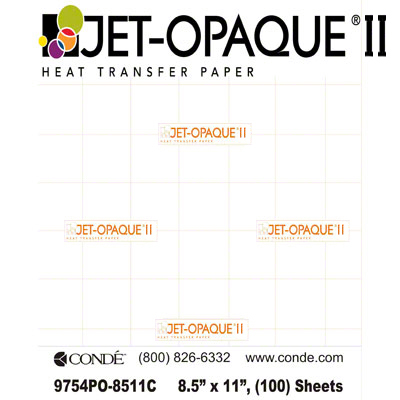 3G JET-OPAQUE® and JET-OPAQUE® II Digital Transfer Papers produce soft, supple yet vibrant and wash-durable ink-jet printed transfers onto dark colored cotton, cotton/poly blends and 100% poly fabrics. 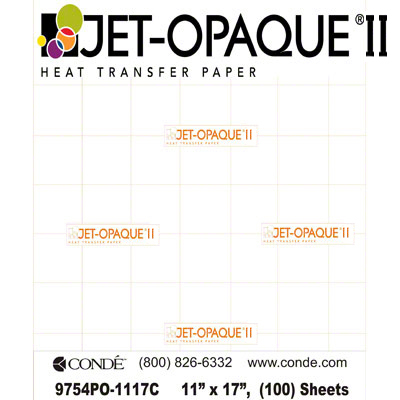 The products can be used to apply photographs or other designs and can be trimmed or plot cut to reduce the transfer of the polymer background. The products can be applied by either a commercial press or a hand iron. 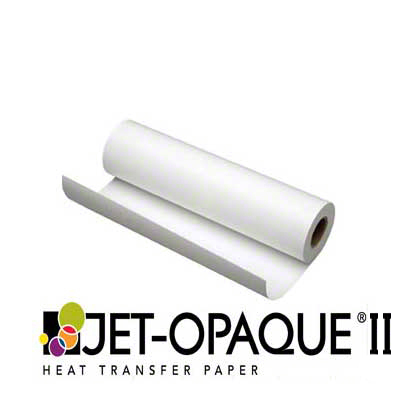 Both products are offered to maximize your choices: 3G JET-OPAQUE Papers provide a softer hand while JET-OPAQUE II Papers provide an easier release from the backer.